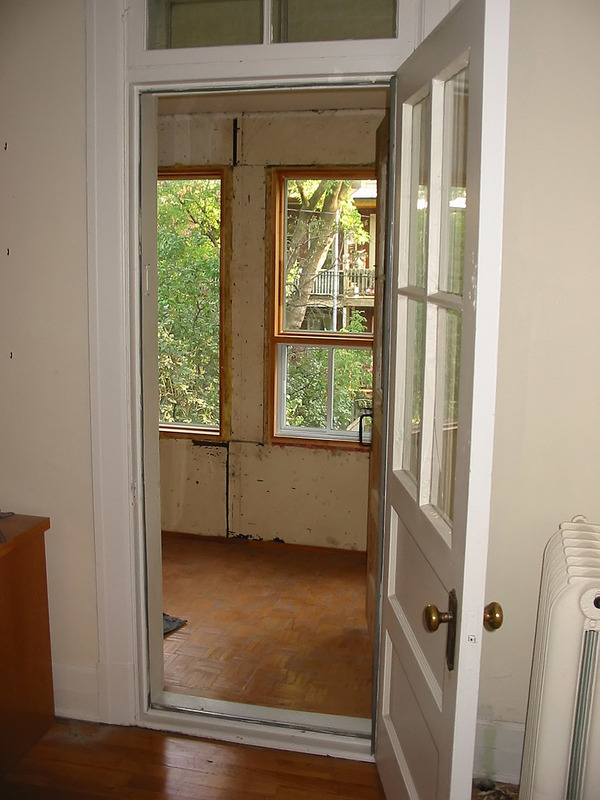 A small bedroom was transformed into a large bright room by taking over a former closed-in porch. This modification required the removal of 3.5 m of exterior brick wall, supporting the wall above with structural steel, levelling, reinforcing and tieing the floor structure together, insulating, finishing etc. 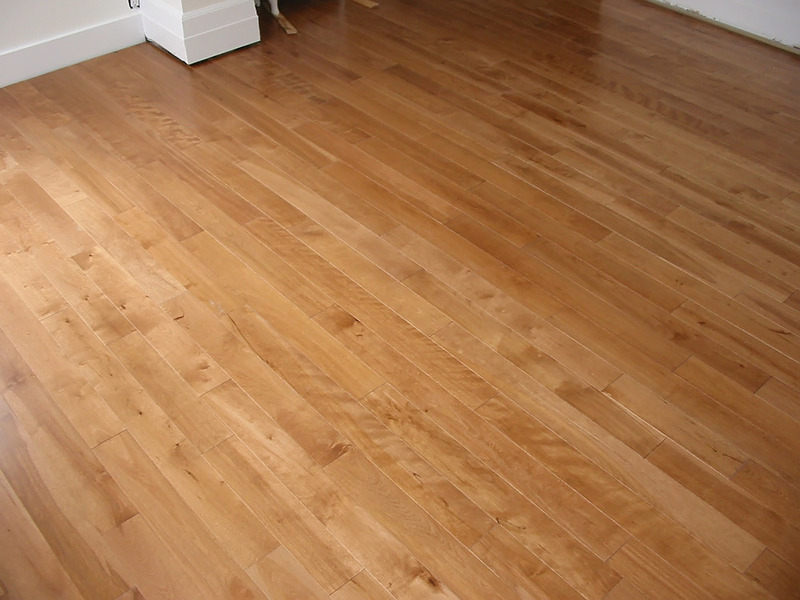 Here you see the new solid stained birch floor that tied together the new space.